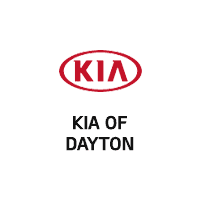 Here at Kia of Dayton we strive to provide our customers with a quality of service that is a step above the rest. We pride ourselves in developing long-term customer relationships which build trust and a peace of mind that your vehicle is in good hands. Our goal is that you are completely satisfied. We set the benchmark that the “other guys” are striving to reach. Our service technicians are Master ASE certified and Kia factory trained. Our team has over 100 years of combined automotive experience. No job is too big or too small. We also offer the convenience of servicing any make or model you may already own with our one-stop service for oil changes, tires, brakes, batteries, and more. Kia of Dayton has a state-of-the-art auto service center with the latest tools and technologies to repair your vehicle. Our service department is staffed with highly-trained auto technicians who will properly identify and repair your vehicle’s problem. To schedule Kia car repair in Huber Heights, please complete our online service appointment form and we will get you into our facility as soon as possible. Whether you need a tune up or major Kia repair, we use genuine OEM Kia parts so you can trust the quality of service you’ll receive at the Kia of Dayton Service center. When you visit our dealership’s car repair facility be sure to check out our other automotive services. We have a fully-stocked inventory of new Kias, and used cars, with some of the area’s most competitive prices. The Kia of Dayton finance department will get you approved for a low-interest car loan in minutes. Visit us today and take care of all of your auto needs.